Tancred left Rainhart standing at the base of the scaffold and walked away. As he moved, a gap opened up around him, then closed behind him. Bookish Tancred was now a man that moved crowds. Rainhart felt as if he was soaked in blood. 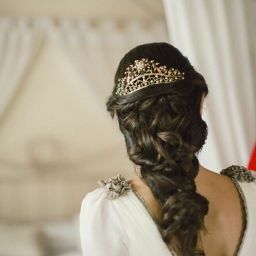 He could still feel the imprint of each strand of Valdon&apos;s hair wrapped around his fingers. He could still feel the strain in his bicep from holding the severed head aloft. A shudder rose from somewhere in the middle of his spine. Awareness came back to him in three stages: first, the feeling of a warm, loving, familiar mind near his. Then several deep barks. Then, as he turned around, a wet nose thrust into his palm. "Briga," he said, dropping to his knees and wrapping his hands around the hound. She rested her big head on his shoulder, radiating contentment. Slowly, the heaviness lifted, and when Rainhart opened his eyes, he saw Philomena standing a little way away. "I thought you weren&apos;t going to come," he said. She cocked a wry smile. "Your sister wanted to witness it," she said. "And since she couldn&apos;t get up, she sent me instead. I&apos;m to give her the memories, mind-to-mind." Rainhart stood. Without prompting, Briga stationed herself by his side. "It shouldn&apos;t surprise me how quickly Holle finds ways to turn her new circumstances to her advantage." 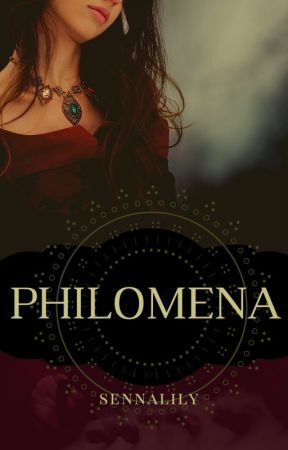 "No, it shouldn&apos;t," said Philomena. "Thank you for bringing me Briga." Acknowledging this, Philomena said, "I&apos;ve also--ah, there they are." She beckoned forward attendants carrying water and towels. Rainhart plunged his hands into the water and watched it turn red. "Prince Rainhart, that was impressive," said Lord Cassius, hailing them. He nodded to Philomena, who dipped her head in return and said, "I&apos;ll be back in a moment," looking in the direction that Tancred had gone. Rainhart dried his hands and thanked the attendants. "It was," he said, shaking his head. "I suspect you did not know what his majesty had planned." "Nonetheless, you played your part well." Rainhart found something resembling a smile. "I suppose." He turned, wanting to get as far away from the scaffold as possible. Walking beside him, Cassius said, "I confess I have not the stomach for all this death." Blinking, Rainhart said, "You&apos;re commander of the Jovani Army." "You are not the first person to point out this incongruity," said Cassius with a wry, fond smile. "Lewellyn--my husband--points it out often. He is far more bloodthirsty than I am." He looked over at Rainhart. "You&apos;ll meet him when you come to Monsilys." "When I--" Rainahrt bit the sentence off as a wave of cold washed over him. "Of course." "I suppose we will leave soon," said Cassius. Something in his tone told Rainhart that he knew the effect his words were having. "After the coronation, I thought," said Rainhart around an obstruction in his throat. "I confess, I am ready to go home." Cassius smiled. "Lewellyn would have made port in Monsilys last week, I think. He was in the north looking after his family&apos;s business interests there." He paused. "I hope you do not look forward to your stay in Monsilys with fear." "No, not fear," said Rainhart. "I--I haven&apos;t had a great deal of opportunity to get used to the idea." That was true enough. He had let himself half-forget the promise he made to the Empress several months ago. He wondered whether Philomena had forgotten it too. "I know my duty." That was true too. "Well, you at least know you have one friend in Jovan." Cassius clasped Rainhart&apos;s shoulder. "Lewellyn and I will have you to dinner any time you wish it." "Thank you, Lord Cassius," said Rainhart. He hooked his fingers around Briga&apos;s collar. Philomena found him again just as he was reaching the camp. They walked side-by-side. Rainhart was conscious of the air between them and the thoughts it held. The reason he didn&apos;t reach across to close the gap betwen them: he was going to Jovan, a fortnight&apos;s hard ride away from Philomena. The reason she didn&apos;t twine her arm with his: she was the Empress&apos; adopted cousin, and she was promised to Tancred. They were the dual links that bound Jovan to Deusetats. Rainhart in Monsilys, and Philomena in Breg. "Will you come and see Holle?" said Philomena. Before they reached the tent, Rainhart could hear shouting: get away from me and you are to blame, you fratricide and you disloyal child. In the clearing, several attendants clustered, wringing their hands. "Prince Rainhart," said one. "I&apos;m sorry. We didn&apos;t know what to do. It&apos;s--"
"Don&apos;t worry," said Rainhart, raising his hand. "I know. It&apos;s my mother." With Philomena close behind, he entered the tent. The queen dowager was pressed against one of the tentpoles, her eyes wide and wild. She flailed a hand in the direction of Holle&apos;s bed. "You killed your brother," she said. "You traitor. You are no child of mine. You are an adder&apos;s spawn, s-slipped into my nest. No, don&apos;t I--" Tears leaked from her eyes. She slumped. Holle was curled on her side, her back to her mother, her healing arm curled against her chest. At first, the scene had scant logic. Then Rainhart sensed the waves of intention coming from Holle. Pushing terror and shame at her mother. An injured animal&apos;s defensive response. "Mother, you need to leave," said Rainhart. "Now." He pulled open the tent flap and beckoned to an attendant to usher the queen out. "The queen dowager should not be permitted in this part of the camp," he said. "Make sure she is watched." The attendant nodded. Rainhart returned to the tent and crouched by Holle&apos;s bed. He helped her roll over and shuffle upright. "Holle," he said. "Hello, brother," she said. There were hollows under her eyes and cheekbones. "What a charming family reunion that was." "She will be kept away from here." "Yes, gods forbid she should be permitted to speak the truth." With her uninjured hand, Holle smoothed down the comforter. There was a shiveryness about her spirit that Rainhart could sense in the still place. "It is only part of the truth," said Rainhart. "We are all to blame for Maldwyn&apos;s death. Including her." He put his hand over hers to still the movement. "When were you going to mention you still had the quiet gift?" he said. Holle acquired the enigmatic expression he had seen so many times before. "I assumed you knew," she said sweetly. "Now that you can read my mind." Rainhart frowned at her. "Well, I am glad to see that you are feeling better."